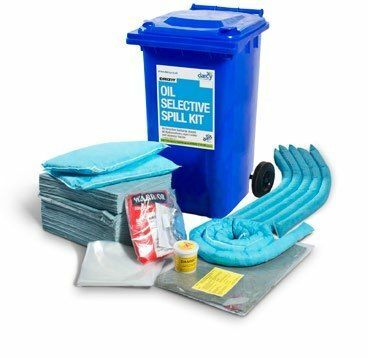 These kits are portable and can be used anywhere, inside and outside the workplace for containing and cleaning up of all types of spill. Hang them on walls with fire extinguishers, first aid kits, etc to create a complete emergency station. You can carry them in cars, trucks and lorries for first response or place outside in high-risk areas such as storage and transfer stations. Grab Bag Kits are supplied in a robust UV stabilised waterproof polyester bag and can be refilled when a product is used. 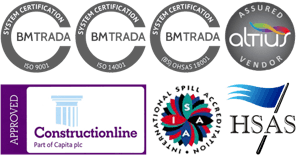 We supply these in a variety of sizes and types depending on what you need, they’re organised by the litres of liquid/oil/chemicals that they can contain/absorb. 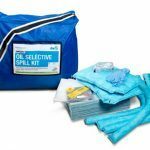 Our comprehensive range of emergency response oil spill kits enable you to handle and clean up hydrocarbons, solvents and other organic liquids. 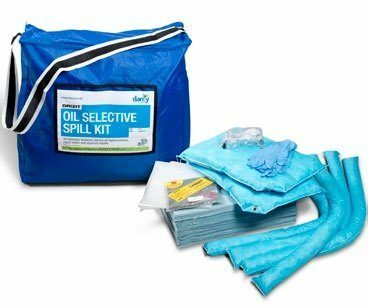 Our range of oil spill kits are available in a variety of containers, from 5 litres to 1,225 litres, including wheelie bins, bunkers, PVC shoulder bags, snap handle bags, and boxes. 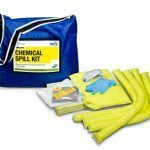 Our comprehensive range of emergency response chemical spill kits enable you to handle and clean up corrosive chemicals and hazardous liquids. 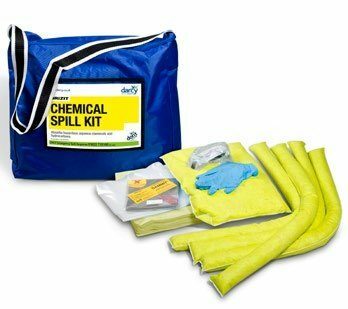 Our range of chemical spill kits are available in a variety of containers, 5 litres to 950 litres, including wheelie bins, bunkers, PVC shoulder bags, snap handle bags, and boxes. 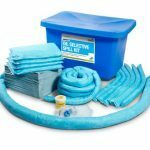 Our comprehensive range of emergency response maintenance spill kits enable you to handle and clean up non-corrosive liquids, hydrocarbons, solvents and other aqueous and organic liquids. Our range of maintenance spill kits are available in a variety of containers, 5 litres to 950 litres, including wheelie bins, bunkers, PVC shoulder bags, snap handle bags, and boxes. Our range of Anti-static emergency spill response kits contain our Drizit Active Anti-static pads and rolls. 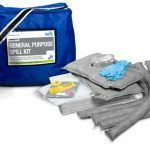 Depending on the kit they also include oil absorbent socks, cushions and/or booms. Wheeled kits are stored in containers with an earthing strip. 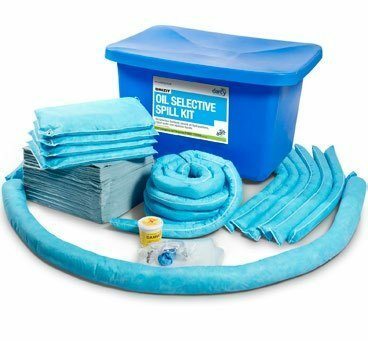 As well as making the products portable, this ensures ultimate safety when transporting the kit to the hazardous spill. 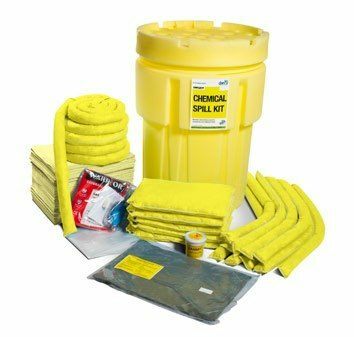 The Drizit Anti-static range of spill kits are hydrophobic and are designed for use in absorbing highly flammable liquids where the risk of a static charge causing a fire or explosion exists. 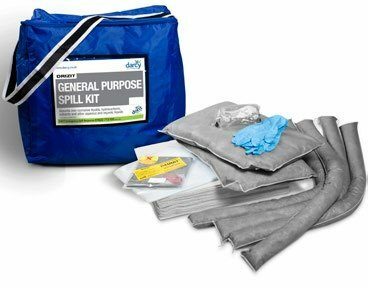 Our range of BioCat™ spill kits, along with Drizit polypropylene absorbent, contain BioCat™ hydrocarbon absorbent offering significant technical and commercial benefits to spill responders, contaminated land clean up, oil sludge and hydrocarbon contaminated waste treatment.